How I Met Your Mother (one of my favorite shows) in Best Comedy. 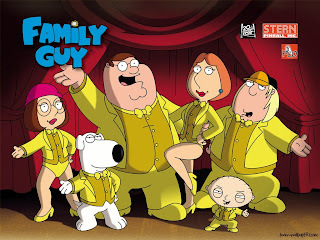 Family Guy (a good one, but not a great season) in Best Comedy. It’s the first animated show to be nominated since The Flintstones! Crazy! Neil Patrick Harris in Best Supporting Actor – Comedy. He has a pretty good chance of winning now that Jeremy Piven was snubbed. It’s going to be a great HIMYM night between the noms and NPH hosting! I’m looking forward to it. So You Think You Can Dance was nominated for FOUR choreography awards! I’m pulling for Bleeding Love by Nappytabs. Kind of worried that they’ll split the votes and leave the musical number from the Oscars as the winner. I guess we’ll see. This isn’t a surprise, but it’s still sad. One of my favorite shows (maybe of all time), Battlestar: Galactica, was snubbed in its final season. Sci fi/fantasy shows get no love. See: Buffy, Angel, Firefly, any Star Trek, Terminator: The Sarah Connor Chronicles, and even the HBO smash – True Blood. Chuck was nominated for an emmy! Not a major category, but definitely better than nothing. Best Stunt Coordination. For a full list of nominees go here. Bleeding love has to win!!! One of my favorite dances ever on the show nad probably my favorite hip hop number ever. 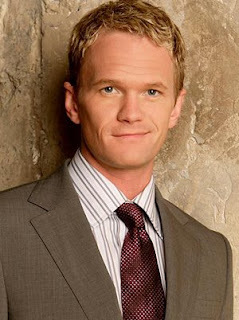 It was legend…..wait for it….keep waiting…..dary!! !